Jared Cooney Horvath is a PhD student at the University of Melbourne in Australia studying Cognitive Psychology / Neuroscience. 15-years ago, a group of German researchers decided to revive the ancient practice of using electricity to effect physiologic change in the human body. Using modern equipment and safety measures, this group reported that they were able to alternately up- and down-regulate neuronal firing patterns in the brain simply by sending a weak electric current between two electrodes placed on the scalp1. 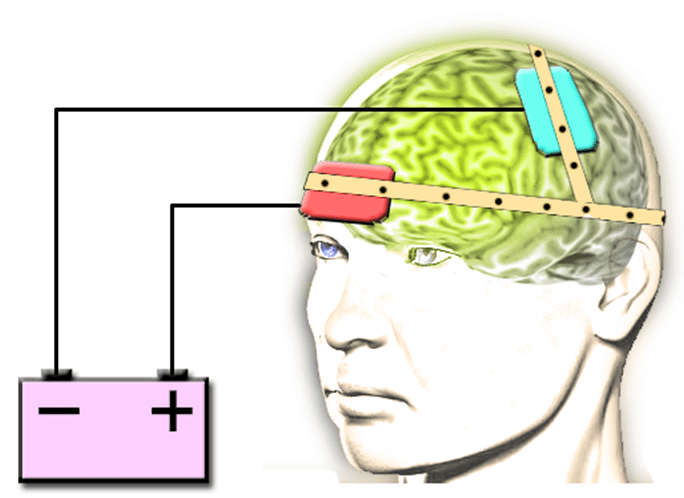 Today, this technique is called Transcranial Direct Current Stimulation (tDCS) and over 1,400 scientific articles (calculated by combining non-replicated articles from a joint PubMed, ISI Web of Science, and Google Scholar search using the keywords “Transcranial Direct Current Stimulation&rdquo;: October 15, 2014) have been published suggesting that passing an arguably innocuous amount of electricity through the brain of a healthy individual can improve his/her memory, learning, attention, inhibitory control, linguistic function, etc. In parallel with these findings (often fueled by the researchers themselves), the public hype surrounding tDCS has grown to impressive proportions: in fact, in the last year alone, stories about this device and its ability to improve cognition and behavior have appeared in popular news outlets ranging from the BBC2 to Wired3 to The Wall Street Journal4. Doubtless fueled by this hype, there are currently 3 tDCS devices (and 2 in development) available for public purchase without the need of a medical prescription. In fact, as you read this, there are likely hundreds of people around the world trying to ‘boost&rsquo; their own brain power using these unregulated devices.